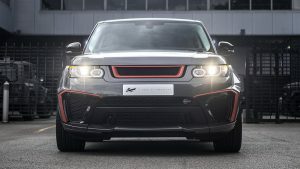 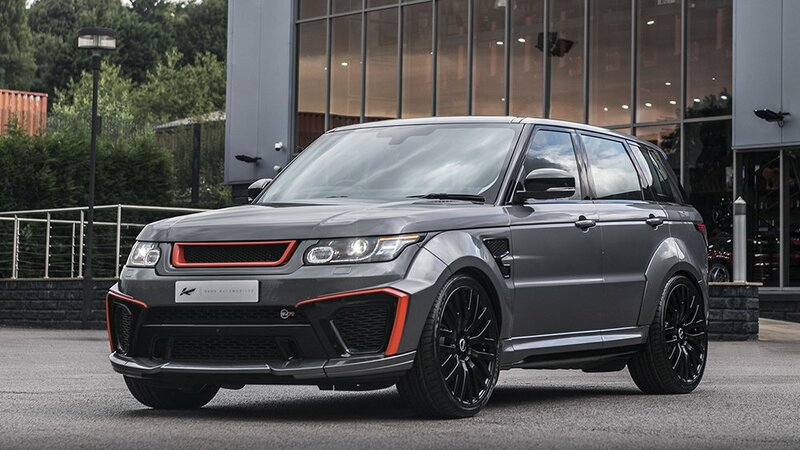 The Range Rover Sport SVR will not go passed unnoticed thanks to it’s brute presence and that menacing exhaust note but this Kahn Design offering will cause a real stir on the roads. They have called it the Range Rover Sport SVR Pace Car and although they did not fiddle with the performance or engine side of things, they gave it a rather outlandish body kit and improved things inside the cabin. 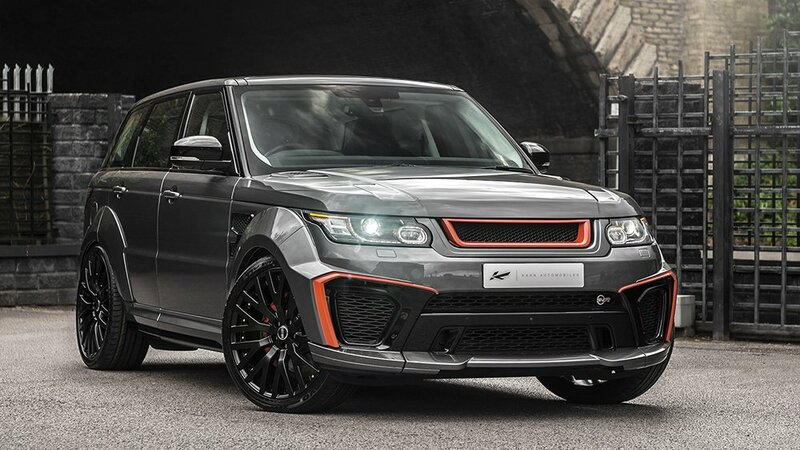 On the exterior you get a new front fascia that combines a 3D mesh grille, customized splitter, and enlarged air intakes. If that wasn’t enough, some bright red accents were added for extra presence. 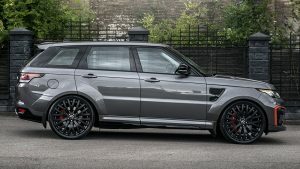 The mods continue with some new flared wheel arches and extended side skirts which enclose the new set of 23 inch wheels rather well. 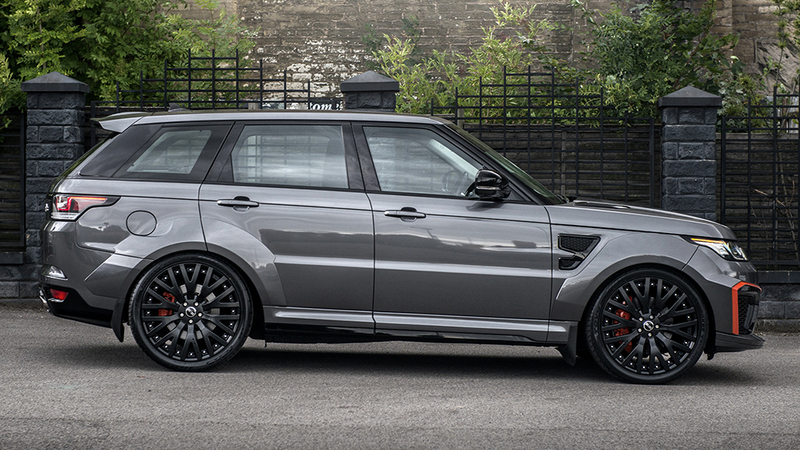 The rear is a little more restrained and includes an extended roof spoiler, bespoke diffuser and new quad tailpipes. 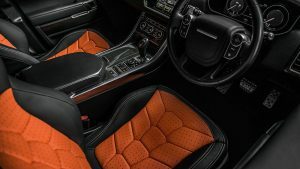 Inside, Kahn Design has gone to town on the British brute, even though it didn’t really need any more luxuries. 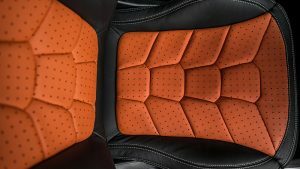 Among the obviously alterations are quilted and perforated leather trim across the seats finished in bright orange and with a hexagonal pattern. Final upgrades include stainless steel door sills and aluminum foot pedals.